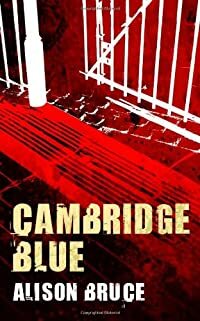 Cambridge Blue by Alison Bruce: Synopsis and Online Purchase Options. Synopsis (from the publisher): Gary Goodhew is intelligent, intuitive, and the youngest detective at Cambridge's Parkside Station. When Gary discovers the first body in a series of murders involving an eccentric Cambridge family, he gets his chance to work on a homicide investigation. He must use his own initiative to flush out the killer, even though it means risking his job and discovering the truth about the one person he hopes is innocent.